I love being near the sea, on it, in it, or by it. The sea has inspired much of my work, and so I was interested when recently I read a post on Alice Fox’s blog about that very subject. I wondered how many artists I could think of just off the top of my head, who have a substantial body of work referencing the sea – and all of the ones I have come up with are British. Is it because we Brits are living on a small island, have a maritime history, and none of us is that far from the sea – or is that we are a crowded land and the sea offers us long open views and entrancing light? 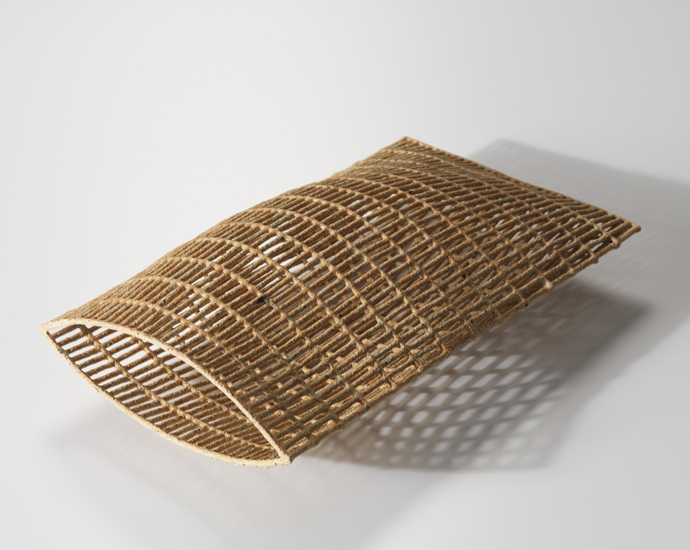 and Pauline Burbidge – who has done much work based on water, has in the past couple of years made some wondrous pieces inspired by the tidal causeway to Lindisfarne not far from her home. 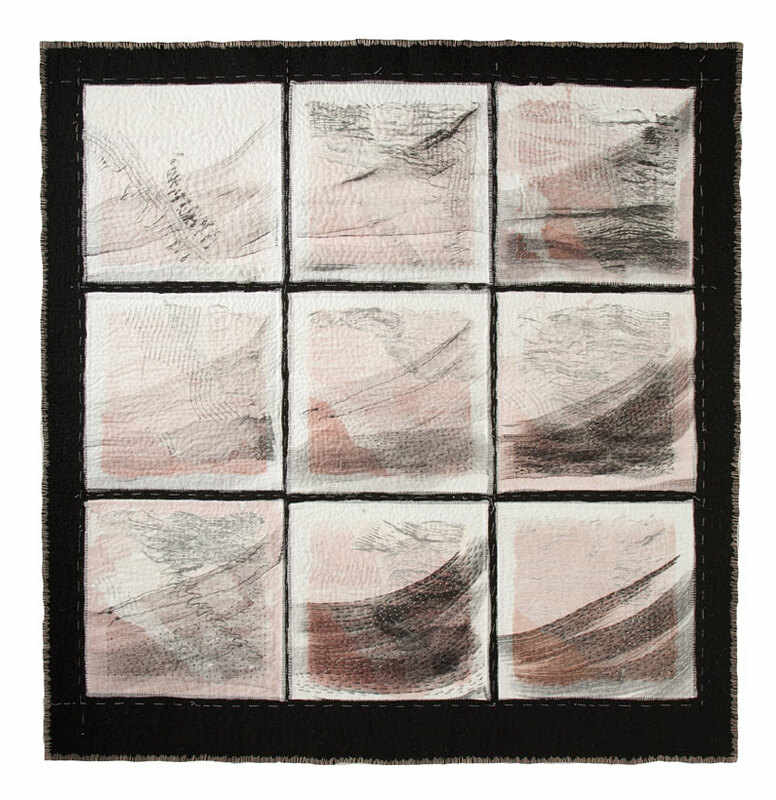 A few years ago she also made a quilt inspired by the view across the Atlantic from Applecross in Scotland. The ceramic artist Annie Turner’s work is inspired by the estuary: detritus, mud, discarded tools such as nets, shells, … they contribute to her spare elegant pieces. 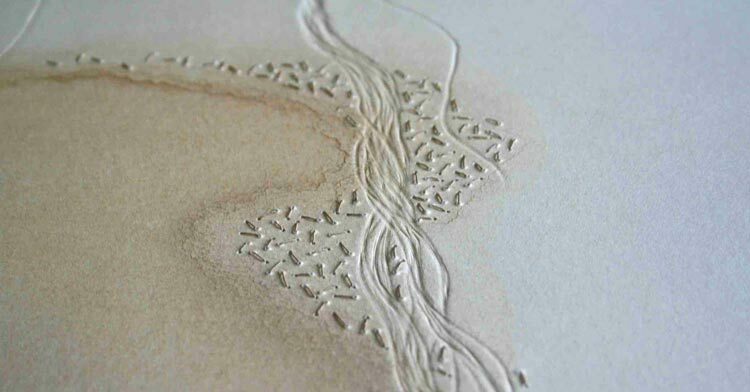 The work of Polly Binns is also inspired by wetlands at the edge of the sea. Mud sounds so pejorative as a word, and yet it is mud and what lives in it, is washed up onto it, is impressed in it which inspires. It is part of that edge world which changes both predictably and unpredictably day by day, hour by hour, season by season, ever changing yet keeping somehow the same fascination, whatever. Walking through new landscapes has been exciting as well as a little daunting. Knowing how long it takes to really understand a place makes me uncertain that I can represent it by just walking through. On the other hand I found that the familiarity of my home stretch made me not look with fresh eyes. I guess you get different things from first contact compared with the deeper understanding gained after many visits. Can one ever be familiar with the sea itself? 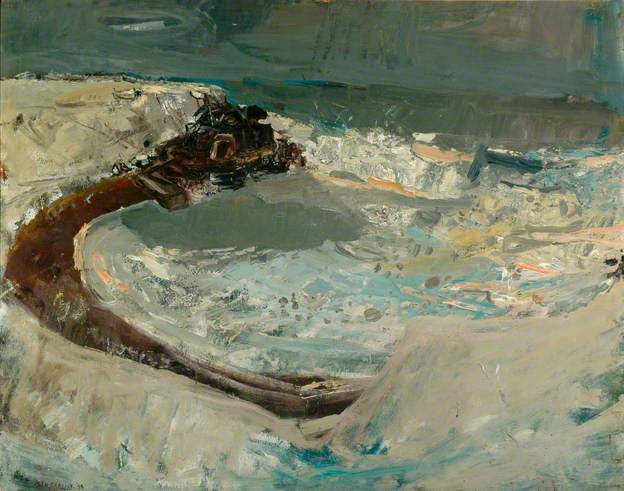 Two artists who give us magnificent glimpses of it are Maggi Hambling and John Virtue. I love those waves, that power, that snapshot of the enigmatic sculptural presence: a force which can and does destroy. 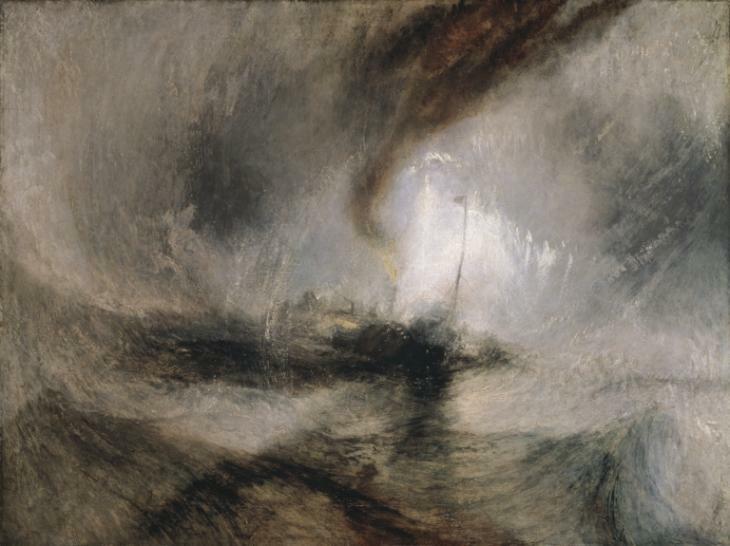 Turner also captured moments of light over the sea, and I so enjoy his complementing the elements with the human interaction in the form of working ships. Of course, there are many many paintings of bathers. I think that most of them are really about the figures disporting themselves rather than about the element in which they bathe. 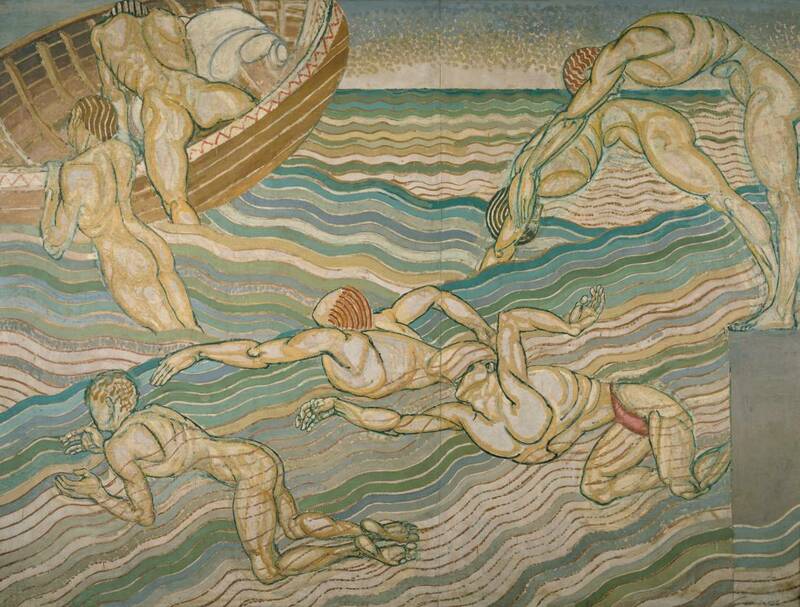 I have always admired Duncan Grant’s painting of bathers, however, not only because of the bodies, but also because of his treatment of the sea. I have probably forgotten someone important, and would love to be reminded of or introduced to other artists who were inspired by the sea and its edges to make a significant body of work. How about Kurt Jackson? 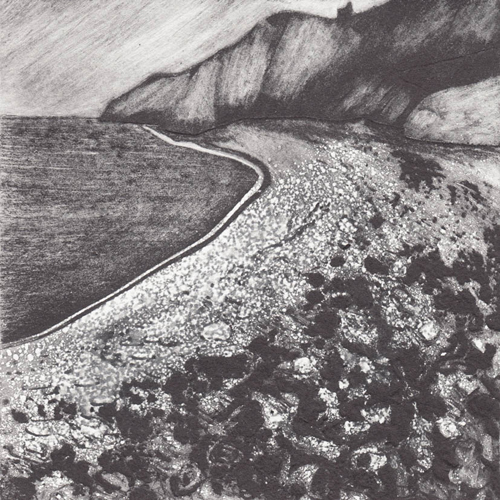 His work is influenced primarily by the Cornish coast and rivers. 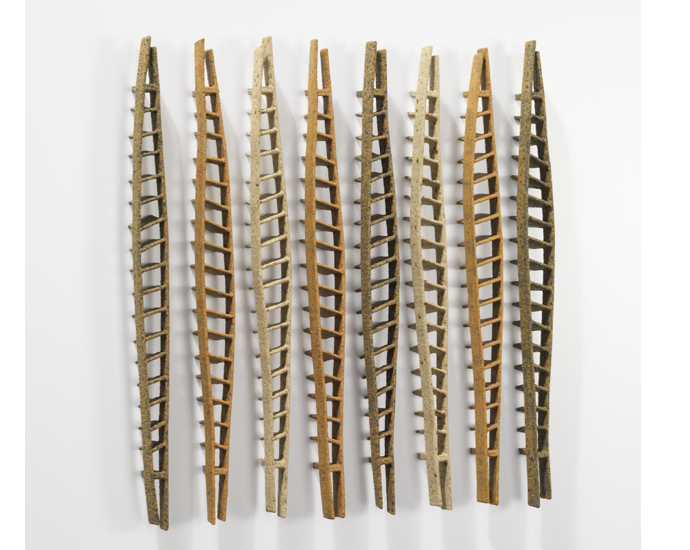 His most recent work based on a journey down the Thames is very exciting. Yes Jenny, you are right. I should have remembered Kurt Jackson. Not that long ago I was looking at his work on trees, but as you say he has a considerable body of work on the Cornish coast. I do also very much like his paintings on the river Thames. I had to buy one – the breaking wave. Thank you for the introduction to this artist. I must say that despite the ubiquity of The Great Wave, the sea is not usually what comes to mind when I think of Hokusai. I am most interested in how he depicts the interaction of people in the landscape. Thank you for reminding me of his work with the sea. 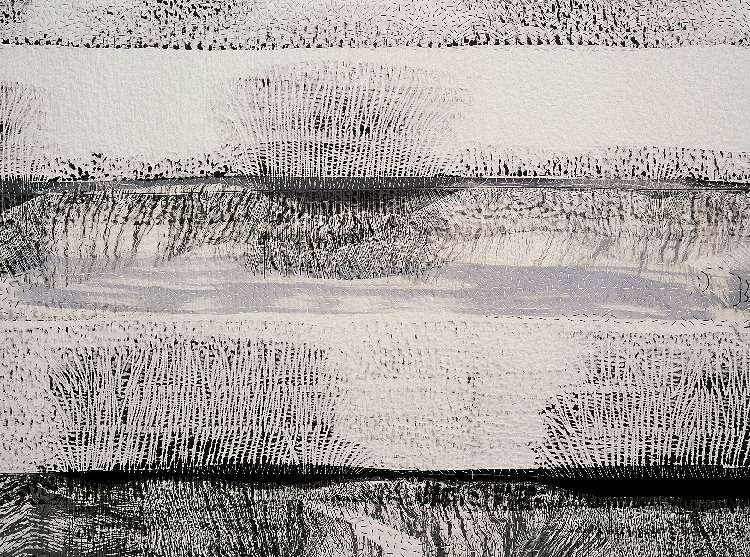 It’s interesting that the sea can evoke great complicated image-making and stark simplicity, like Annie Turner’s. I love both versions and find them both truthful. Burbidge is always astonishing and to my eye, she manages both. I wonder if it would be possible to do the sea without any reference to land — a bit like Binn’s Landmark. She gives us the grid as a kind of orientation, but the images themselves are without edges or figuration or orientation. I haven’t checked further into any of the artists’ web imagery, but this may be one I’ve got to pursue. I’m reminded of deserts and the need to find a way to orient the ‘scape (although the deserts don’t have glorious bathers to play around with). Thanks, Olga. 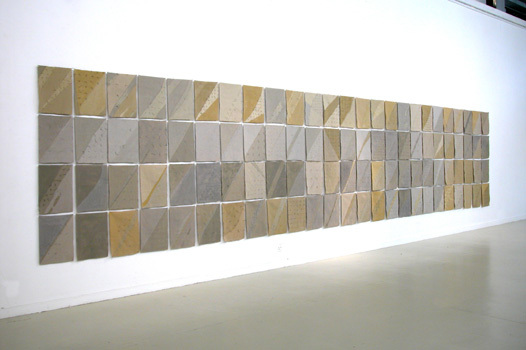 June, I particularly like the idea of a work with no direction inspired by the sea or indeed the desert. I can feel the back of my mind already gearing up! I love your blog regarding the sea and all the artists you mention. My passion is the Norfolk coast. Walking, collecting, drawing then using my finds to print stitch and weave. Have had a bit of a creative block lately but you have inspired me again. Thanks. I am glad, Marian, that you found enough of interest in the artists mentioned to inspire your own work. I am beginning to think of a creative block not as a negative, but as a time for recharging the batteries of one’s imagination. Sometimes this seems to take quite a while, whereas at others a jolt of electric input can produce great results.